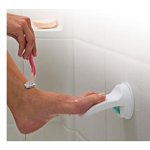 Avoid unforeseen unpleasant incidents in your bathroom with high quality bath safety products to keep your bathroom safe and accessible for everyone. 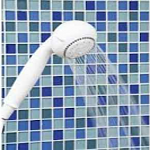 Sportaid is one of the top rated online retailers of Shower & Bath Products. because we offer high quality and affordable bathroom safety aids from top manufacturers. 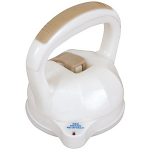 Sportaid offers bathroom safety equipment on sale with our own Low Price Match Promise. 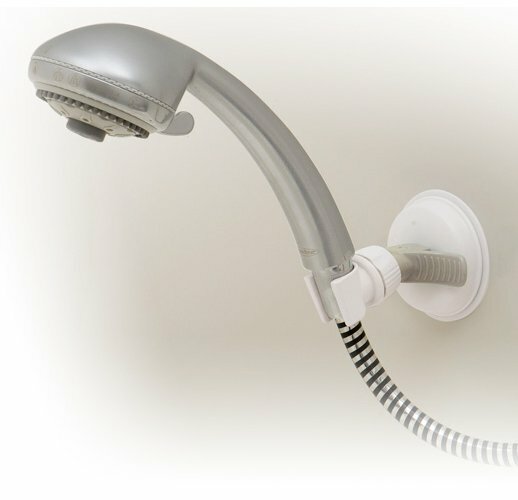 Browse through our collection of Suction & Grab Bars, Handheld Shower Heads, and Clamp-n Tub Rails below or feel free to call 1-800-743-7203 for expert assistance. Select from the top manufacturers and save big with Sportaid.com's everyday low prices. You can expect to save as much as 50% on Suction & Grab Bars, Handheld Shower Heads, and Clamp-n Tub Rails at Sportaid! 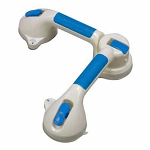 HealthSmart Chrome Suction Cup Grab Bar 12"
HealthSmart Sand Suction Cup Grab Bar with BactiX, 12"
HealthSmart Sand Suction Cup Grab Bar with BactiX, 16"
Sure Suction Tub & Shower Bar 12"
Sure Suction tub & Shower Bar 16"
Sure Suction Tub & Shower Bar 24"
Equip Your Bathroom with Quality Suction & Grab Bars, Handheld Shower Heads from Sportaid.com! 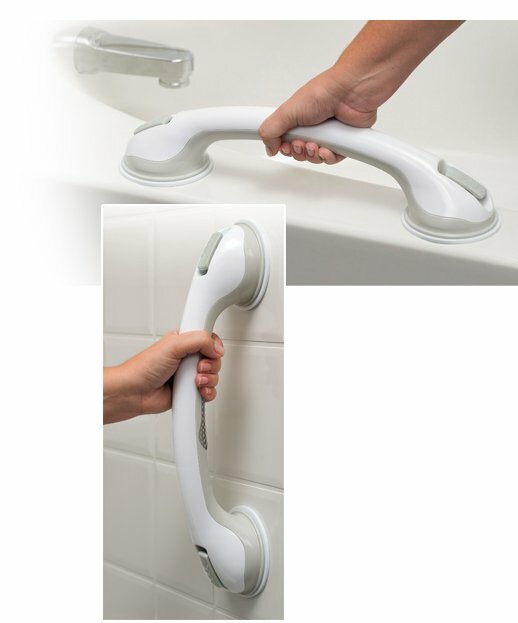 Suction & Grab Bars, Handheld Shower Heads, and Clamp-n Tub Rails provide assistance and add safety in your bathroom. 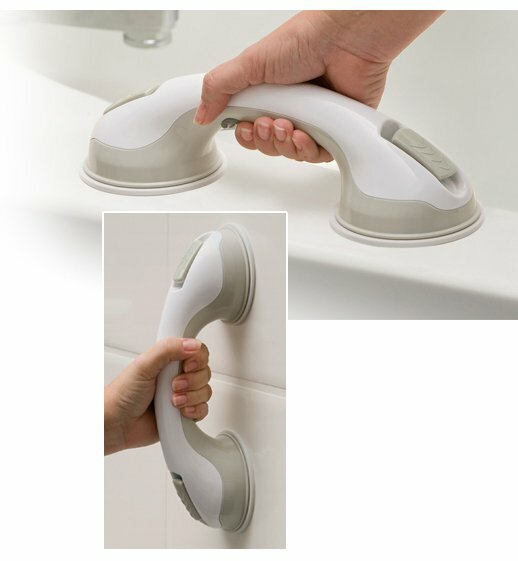 A hand-held shower on the walls enables seated washing for a safer and more convenient experience. 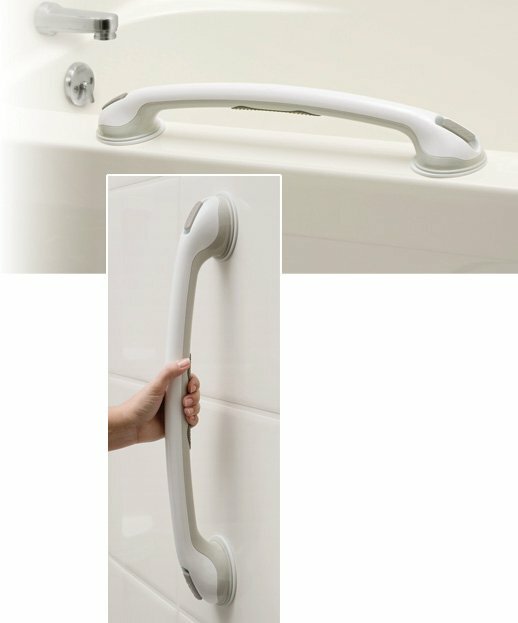 Grab bars are the perfect solution for the disabled who require extra stability while standing or sitting. 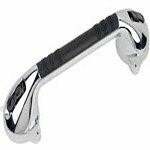 Our premium collection of Suction & Grab Bars and Handheld Shower Heads includes the HealthSmart Chrome Suction Cup Grab Bar, Sure Suction Tub & Shower Bar, and many more. Feel free to call 1-800-743-7203 for expert assistance. And be the best you can be by choosing Sportaid as your Shower & Bath Products supplier. Whether you are a new customer or someone who has been with us for a while, we guarantee satisfaction. 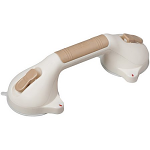 After over 25 years in the business helping people find the right Suction & Grab Bars, Handheld Shower Heads at the lowest prices, we continue to lead the industry! We carry a large selection of wheelchair cushions, wheelchair parts, and wheelchair accessories. We are capable of beating any competitor's advertised price, just call! Our customer service staff has over 50 years of experience, plus over 90 years of combined wheelchair use experience. We look forward to working with you!